PokerStars guarantees the biggest and most varied tournament schedule by far when compared to other reputable poker rooms online. Since April 2016 they have made the guaranteed tournament schedule even more varied and there are loads more tournaments scheduled every day of the week. Play in daily low cost satellite qualifiers at PokerStars to win your seats in the major guaranteed tournaments scheduled in the card room. Look out in the lobby for the new major ‘Blue’ tournaments clearly indicated on the tournament schedule at PokerStars in bold blue letters. Every day from Monday to Friday, you can sign up for three Major Blue tournaments with massive prize funds guaranteed by PokerStars. The start times are well spaced out over the day giving everybody around the world a ‘good’ time to play no matter their time zone. With more than 100 million registered customers spread around all the continents on the planet, start times are very important. The new daily Blue tournaments ensure that the big money action is not limited to weekends at PokerStars and opens the doors to many more players to win big at any time of the week. 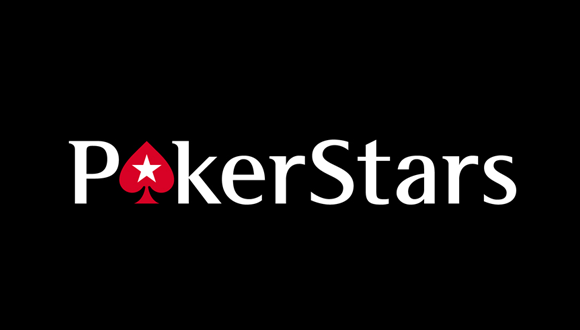 Saturdays at PokerStars have become a lot more exciting since the introduction of the new expanded tournament schedule. Six guaranteed tourneys now feature every Saturday and they include the low cost Saturday Micro with a guaranteed prize fund of $15,000 and the Saturday Super Knock-out that offers prize money of at least $175,000. There are plenty of tournaments with very reasonable buy ins and attractive prize funds guaranteed on Saturdays making Saturdays almost as great as Sundays at PokerStars. PokerStars guaranteed ‘Sunday Million’ tournament is famous with poker players everywhere in the world. No other online card room offers such an amazing guaranteed prize pool every Sunday of the year. Occasionally there are reasons to celebrate something important at PokerStars, that’s when the Sunday Million is jacked up to several million dollars with the same buy in of $215. If you thought Sundays were jam packed with incredibly valuable tournaments then look again at the improved schedule for each Sunday throughout the year. Sundays now feature five amazing tournaments starting with the ‘Sunday Kick-off’ guaranteeing a $100,000 prize fund for a paltry $109 buy in. Players feeling like a ‘Sunday Warm Up’ can play for the $400,000 guaranteed prize money and still take part in the ‘Sunday Million’ that starts three hours later. Squeezed in between the two flagship Sunday tournaments is the ‘Sunday Storm’, where for a buy in of $11 you can win a share of the $250,000 guaranteed by PokerStars. The final Blue major tournament on a Sunday is the ‘Sunday Supersonic’ that comes after the Sunday Million and is perfect for players looking for even more action to complete a spectacular Sunday at PokerStars. The Daily Bigs, the Bounty Builders and Hot Turbos are incredibly popular with PokerStars players so the team have taken that on board and increased the number of Red ‘branded’ tournaments running at set times every day. Look out for the tournaments indicated in bold red letters in the poker lobby every day of the week and make your poker experience sublime.